Ductless 12,000 BTU, 17.5 Seer. A/C Leak Freeze will stop leaks of refrigerant gas in HVACR air conditioning and refrigeration systems in homes and commercial buildings. A/C Leak Freeze is inert until it mixes with the refrigerant. A/C Leak Freeze is activated by refrigerant escaping at the site of a leak � forming a chemical weld and sealing the leak. A/C Leak Freeze is compatible with all standard refrigerant gases. It's polymer-free, tested to be non-clogging to the A/C compressor and recovery unit � it's a permanent fix. A/C Leak Freeze with Magic Frost provides all the benefits of A/C Leak Freeze plus extends compressor life and reduces noise, improves A/C system lubrication and reduces friction. It cleans and revitalizes the A/C system while reducing energy consumption. A/C Leak Freeze with Magic Frost enhances the performance of older A/C systems. Click on the Leak Freeze MSDS Document for the Safety Data Sheet. What does A/C Leak Freeze fix? It permanently seals air conditioner and refrigerant system leaks in home and commercial HVACR applications. I'm a business owner and I want to fix my own A/C system. Can I? A/C Leak Freeze is for professional use only. To find a HVACR technician near you that is qualified to use A/C Leak Freeze, Contact Us at 800-961-7123. A/C Leak Freeze is inert until it mixes with any refrigeration gas. A/C Leak Freeze is activated by refrigerant escaping at the site of the leak � forming a chemical weld and repairing the system. Why should I install A/C Leak Freeze with Magic Frost? A/C Leak Freeze with Magic Frost stops leaks, lubricates the A/C system, enhances cooling efficiencies, extends compressor life and is ideal for A/C systems 2 years and older. Will it clog the compressor or recovery unit? No, A/C Leak Freeze is formulated and has been certified to not harm A/C refrigeration components. How much do I use and how large of a leak does it repair? How long will it stay in a system? A/C Leak Freeze will stay in a system indefinitely, following the refrigerant. If the refrigerant must be reclaimed, A/C Leak Freeze is reclaimed with it. Is it proven in the field? Yes, the A/C Leak Freeze formulation has been in use for years, with over a 97% success rate. 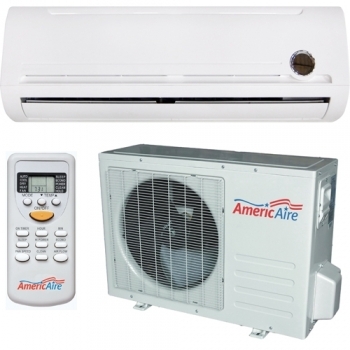 A/C Leak Freeze is made in the United States. Can A/C Leak Freeze be used in automotive air conditioners? No, it is formulated exclusively for use in HVACR applications. 2.0 oz. Leak Freeze Cartridge with 1/4" Adapter for Air Conditioner Leak Repair. Includes Cartridge and 1/4" Adapter. Leak Freeze 1/4" Adapter. Cartridge Sold Separately. Leak Freeze 5/16" Adapter. Cartridge Sold Separately. Leak Freeze Cartridge 2 oz. 2.0 oz. Leak Freeze Cartridge for Air Conditioner Leak Repair . Adapter Sold Separately. Leak Freeze Cartridge with Magic Frost 2 oz. 2.0 oz. Leak Freeze Cartridge with Magic Frost for Air Conditioner Leak Repair . Adapter Sold Separately. 2.0 oz. Leak Freeze with Magic Frosts Cartridge and 5/16" Adapter for Air Conditioner Leak Repair. Includes Cartridge and 5/16" Adapter.